OCP Survey Results Now Available. 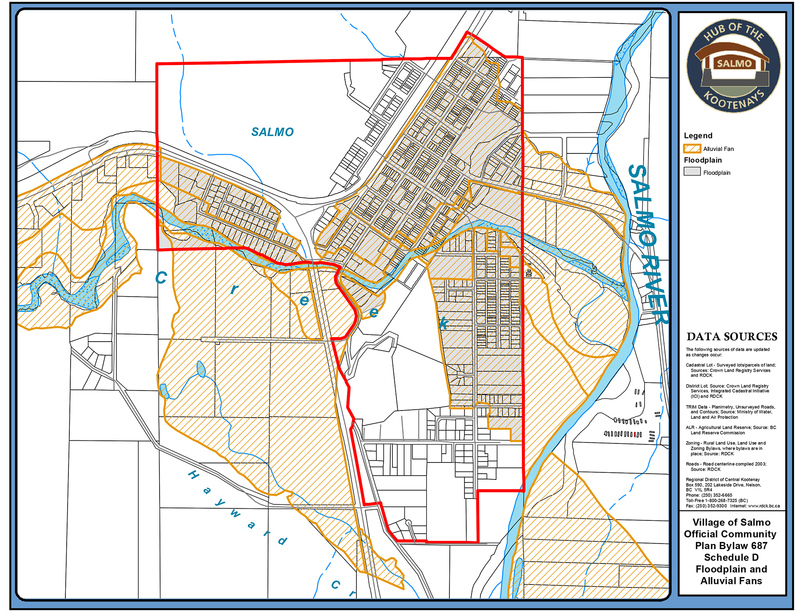 March 13, 2019 – Salmo is in the process of updating its Official Community Plan (OCP). 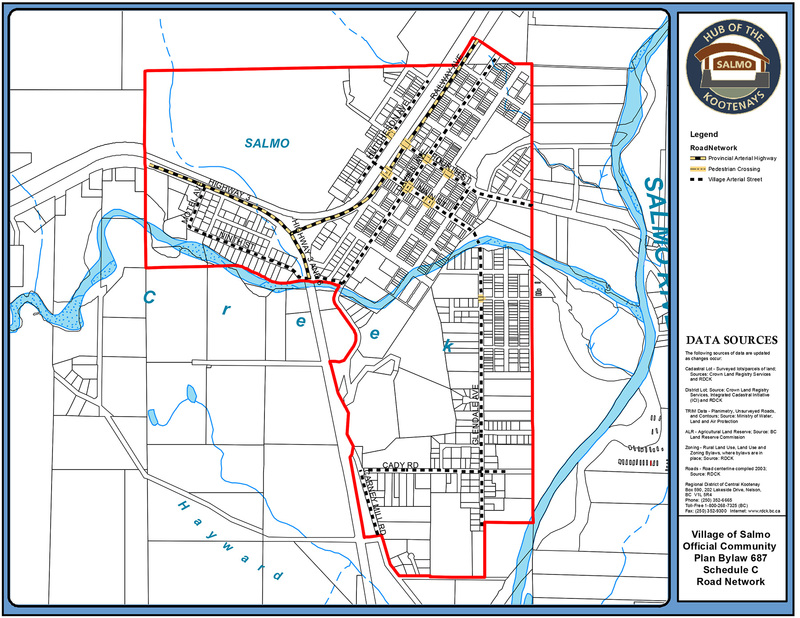 From December 12, 2018 to January 11, 2019 local residents shared their vision of Salmo with Council. The OCP Economic Development Survey Report 2019, Appendix A: OCP Survey Data and Appendix B Survey Comments by Question are now available. 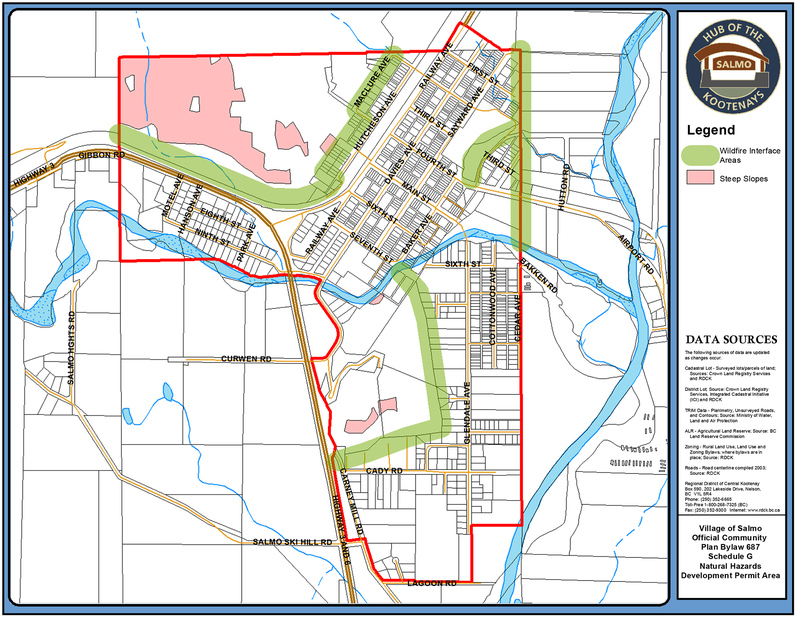 The results will be incorporated into the OCP and Zoning bylaw planning processes and used by Council to assist in other decision making, and by local groups as reference material for their processes. Thank you to all who shared your vision of Salmo with us. 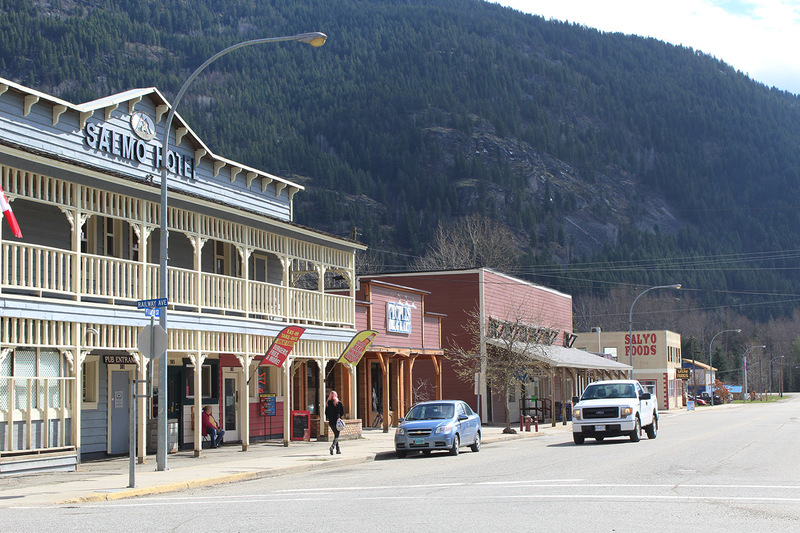 Sustainable Salmo is a planning process to update the Village’s Official Community Plan in a way that is sustainable and inclusive. The new plan will shape our future. 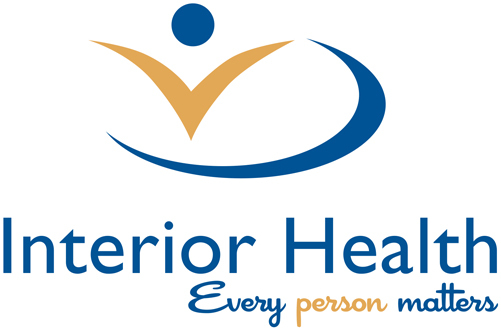 Project partners include the Village of Salmo, Central Kootenay Regional District, Fraser Basin Council and Interior Health. Residents are key stakeholders in the process, and are invited to participate in a variety of ways. November 28, 2018 – At the Village Council meeting on Tuesday, November 27, 2018 council voted to rescind the first reading of the OCP to allow a major edit, including the incorporation of objectives, policies and/or strategies regarding issues such as affordable housing, economic development, Bear Smart and FireSmart. There will be another public hearing for the OCP in the new year. 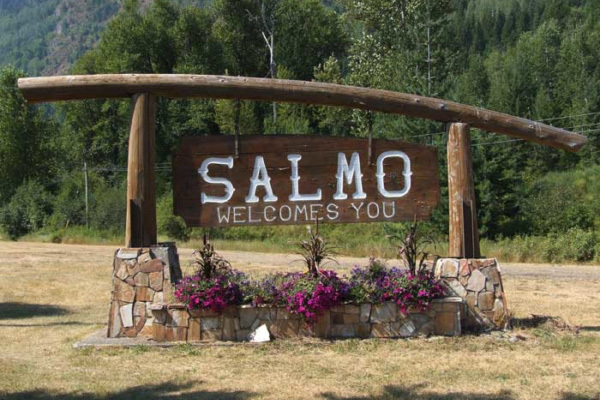 A public survey on the economic development and economic future vision for Salmo will be conducted beginning in December in order to provide and incorporate a sound, sustainable economic vision for Salmo in this OCP. 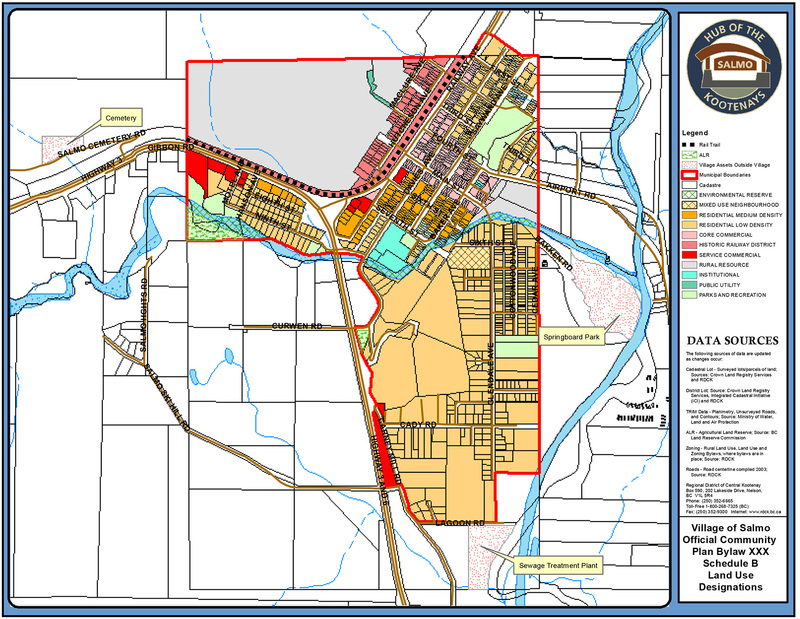 A Public Hearing was held by Council of the Village of Salmo at the Salmo Valley Youth and Community Centre (SVYCC) at 206–Seventh Street, Salmo, BC on Tuesday, January 30, 2018 at 7:00 p.m. The purpose of the Public Hearing was to hear representations on “Sustainable Salmo Official Community Plan Bylaw 687, 2017”. If you have any questions or concerns, please feel free to contact the Village Office [email protected] and book an appointment to speak with the Chief Administrative Officer. 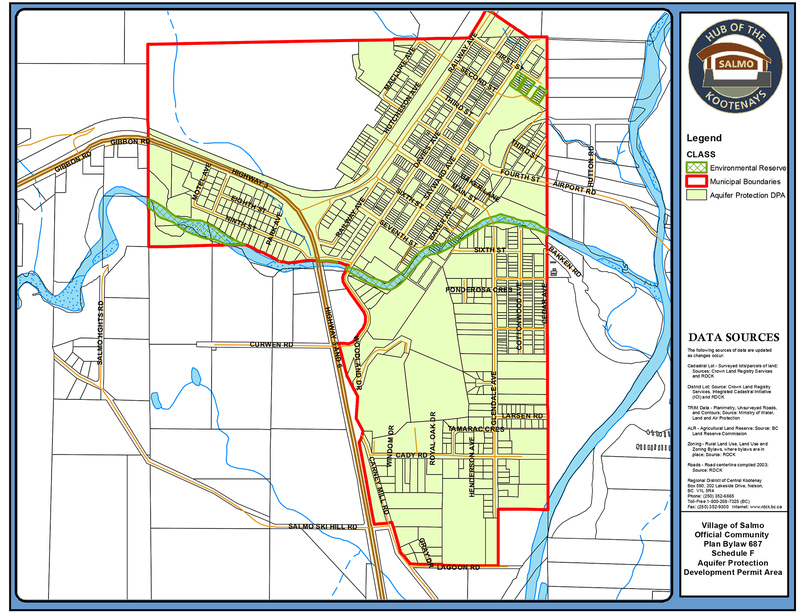 It is anticipated that the plan will add two new Development Permit Areas – Natural Hazards and Aquifer Protection – to reflect the community’s priorities – safety and environmental stewardship, and the protection of the Village’s priority asset – the aquifer and its pristine water supply. The plan includes objectives, policies and targets regarding climate change and reducing greenhouse gas emissions, as required under the Local Government Act. 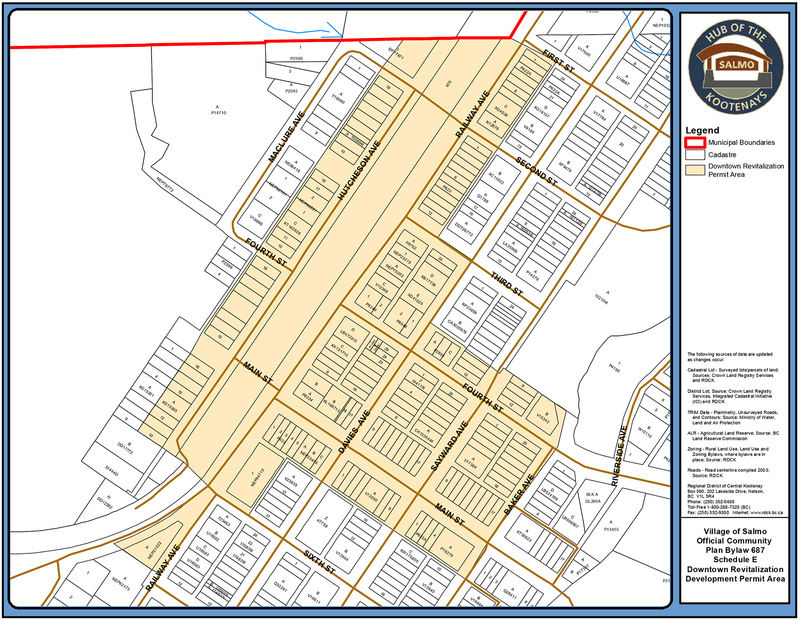 The elementary school site will be changed from Institutional to Mixed-Use Neighbourhood planning, promoting the development of a unique residential and commercial neighbourhood if the elementary site closes, as anticipated. This designation includes a wide variety of uses such as affordable housing, childcare, community gardens, life-long learning, and a café, and demonstrates ‘green’ building principles in design and construction, creating a sustainable neighbourhood. Temporary Use Permit provisions will be included, giving the Village additional tools to guide and regulate temporary uses such as seasonal vendor markets. 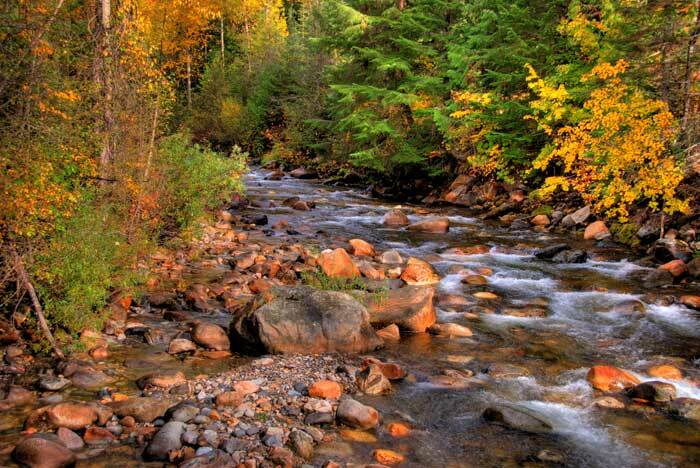 An Asset Management section describes the Village’s current and future asset and infrastructure plans, and acknowledges and places value on human assets (employees and volunteers) in addition to natural assets and tangible assets, as part of overall asset management.